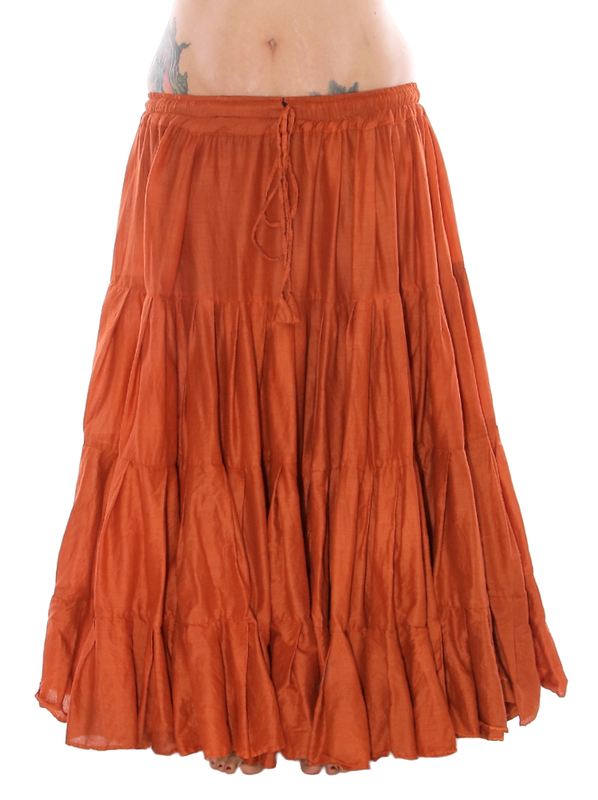 25-yard cotton skirt features an elastic and drawstring waist. 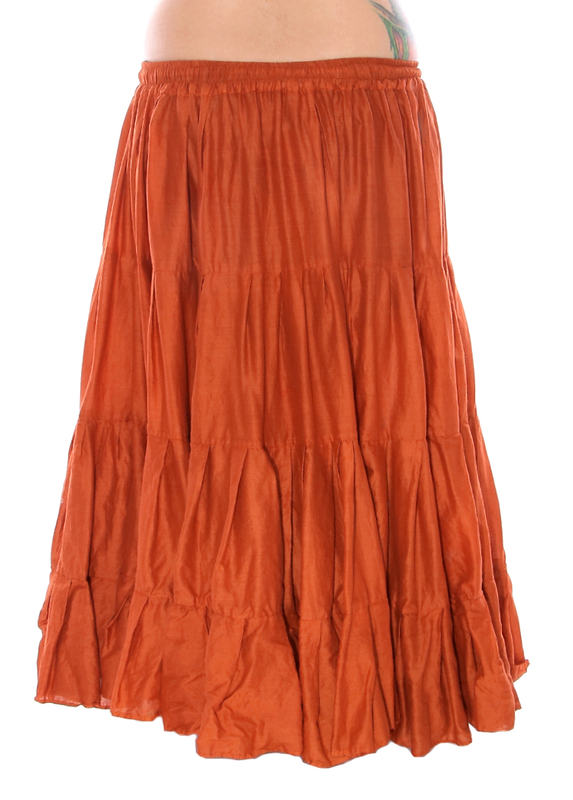 This 25-yard polished cotton skirt features an elastic waistband that also has a drawstring for comfortable, secure fit. 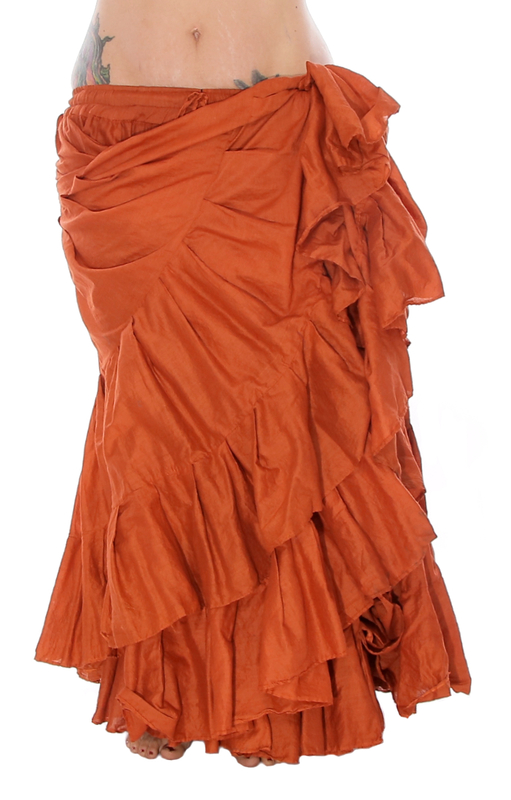 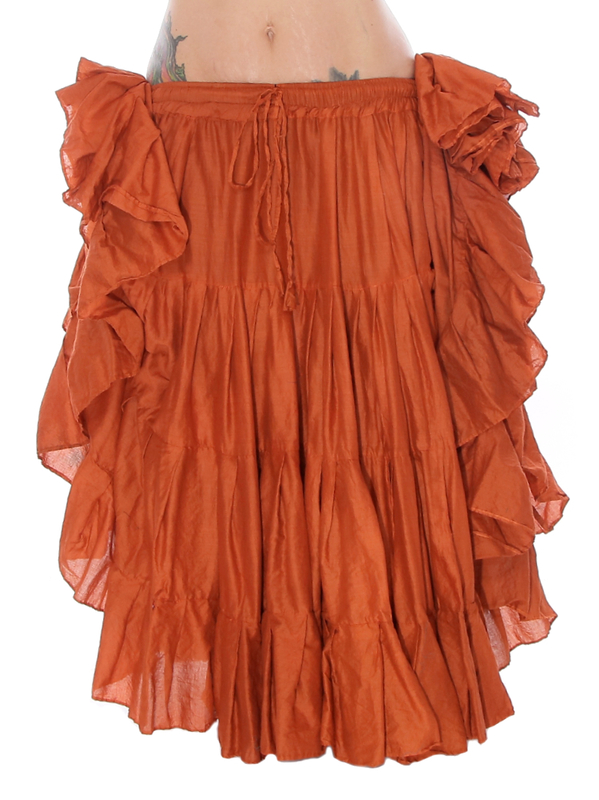 Perfect for Tribal Style, Gypsy skirt dance, and Turkish Bellydance.